It's perhaps Halo's most impractical and "unrealistic" (relative term!) 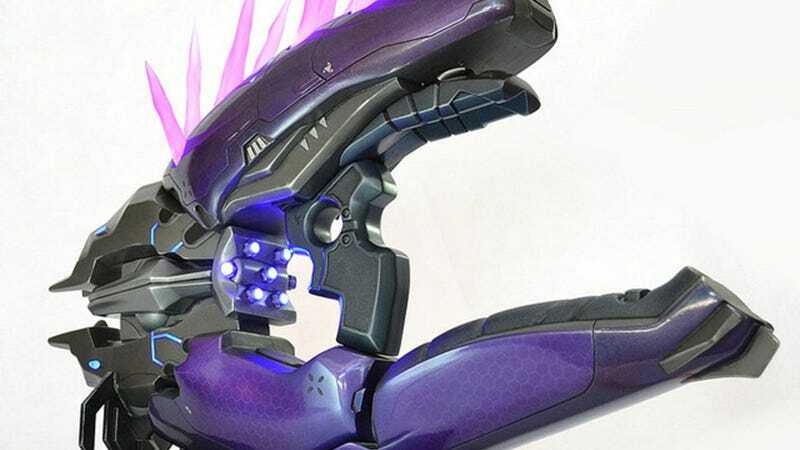 weapon, but also one of its most iconic: the Needler, pointy purple death-dealer of the Covenant. A weapon which, for one show only, is making an appearance in the real world, courtesy of Volpin Props. Volpin's Harrison Krix put the thing together, giving it not just a proper finish but even adding wiring so it could glow like the "real" thing.